An increasing number of popular swimming spots in the UK have failed to meet European hygiene standards including parts of Lake Windemere, the chic Cornish resort of Rock in Cornwall and Sandgate in Kent. The vast majority of the nation’s favourite coastal areas and inland lakes or rivers meet strict EU bathing water cleanliness standards. However the heavy rains last summer means that more sewage, litter and chemical run-off from farms was found in the 608 swimming spots assessed last year. Some 24 coastal areas and Millerground Landings in Lake Windermere failed to meet the minimum standard, which means they may not be safe to swim in at certain times of year or in particular areas. This is a rise from the 20 beaches that failed the test in 2007. The EU does not consider the bathing areas dirty enough to close them down but leaves it up to the local authority or Environment Agency to test the water and advise the public if it is safe to swim. Most of the UK bathing areas needing improvement were in the South West – Devon and Cornwall – and in Scotland including Portobello in Edinburgh and beaches around Plymouth. Earlier in the year the Marine Conservation Society recommended just 370 out of 775 of the UK’s most popular bathing beaches in its annual Good Beach Guide, a fall of 17 per cent on last year and the lowest number since 2002. 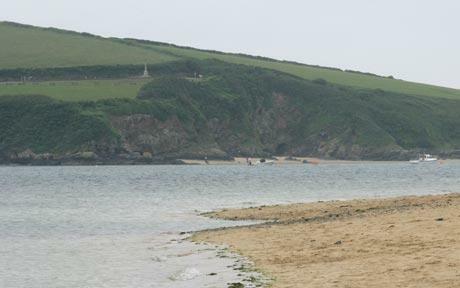 Keep Britain Tidy have also reported the number of beaches awarded a Blue Flag for overall cleanliness this year fell by 11 to 71 – although that is still an improvement from 2002 when just 45 made the grade. The Department for Environment, Food and Rural Affairs (Defra) said it is tackling the problem of pollution from sewers by tightening standards to stop leaks. The problem of run off from farms is being dealt with by awarding grants to build fences between livestock and watercourses and controlling use of chemicals. “We’re working to improve sewerage systems and are aware of the effect heavy rain and flooding can have on our coastal bathing waters” said a spokesman. The EU carried out tests at more than 21,000 bathing spots around 27 countries last year. The vast majority in favourite holiday spots like Cyprus, France and Spain met EU hygiene requirements with 96 per cent of the total coastal bathing areas and 92 per cent of bathing sites in rivers and lakes up to standard.